Whitney Vickers | Greene County News The City of Fairborn recognized the 17 anniversary of 9/11 Sept. 11 at Calamityville, where the city has placed a piece of steel from one of the towers as a memorial. 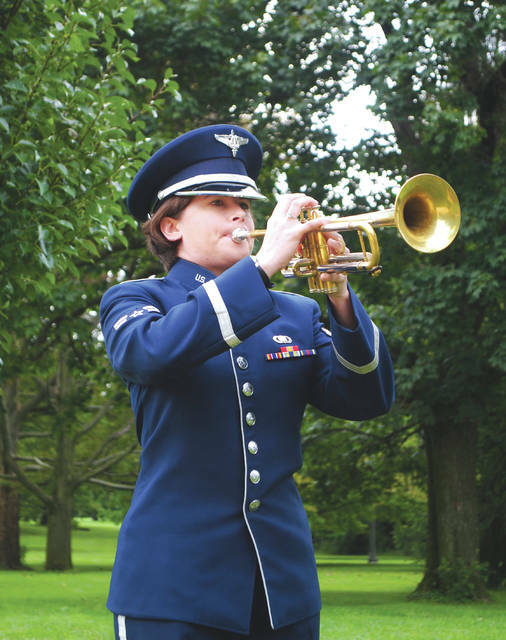 The ceremony included local participation from Wright-Patterson Air Force Base, the American Legion Dignam-Whitmore Post 526, the Montgomery County Sheriff’s Office and more. The ceremony included remarks that honored the police and first responders during the tragic events. Pictured are Fairborn’s own police and first responders. The City of Fairborn recognized the 17 anniversary of 9/11 Sept. 11 at Calamityville, where the city has placed a piece of steel from one of the towers as a memorial. 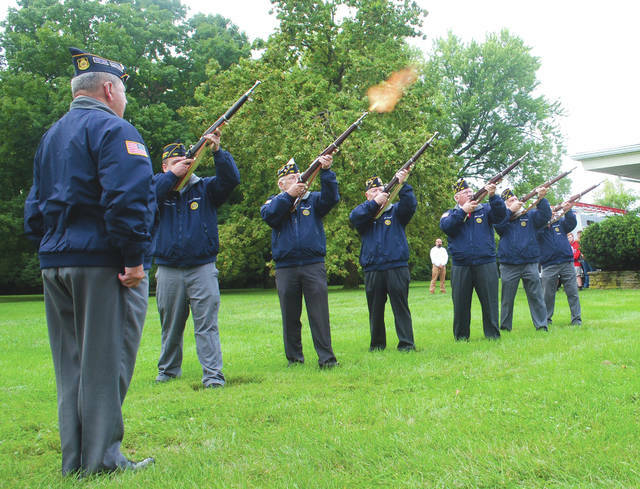 The ceremony included local participation from Wright-Patterson Air Force Base, the American Legion Dignam-Whitmore Post 526, the Montgomery County Sheriff’s Office and more. 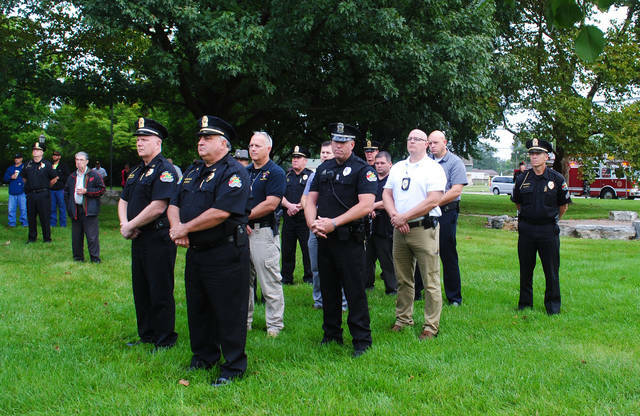 https://www.fairborndailyherald.com/wp-content/uploads/sites/50/2018/09/web1_f9113.jpgWhitney Vickers | Greene County News The City of Fairborn recognized the 17 anniversary of 9/11 Sept. 11 at Calamityville, where the city has placed a piece of steel from one of the towers as a memorial. The ceremony included local participation from Wright-Patterson Air Force Base, the American Legion Dignam-Whitmore Post 526, the Montgomery County Sheriff’s Office and more. https://www.fairborndailyherald.com/wp-content/uploads/sites/50/2018/09/web1_f9115.jpgThe ceremony included remarks that honored the police and first responders during the tragic events. Pictured are Fairborn’s own police and first responders. https://www.fairborndailyherald.com/wp-content/uploads/sites/50/2018/09/web1_f9116.jpgThe ceremony included remarks that honored the police and first responders during the tragic events. 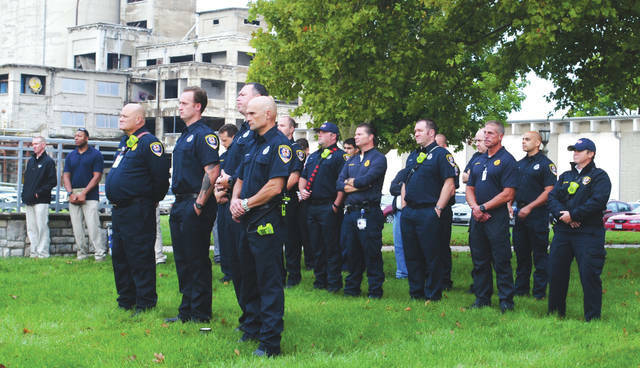 Pictured are Fairborn’s own police and first responders. https://www.fairborndailyherald.com/wp-content/uploads/sites/50/2018/09/web1_f9112.jpgWhitney Vickers | Greene County News The City of Fairborn recognized the 17 anniversary of 9/11 Sept. 11 at Calamityville, where the city has placed a piece of steel from one of the towers as a memorial. The ceremony included local participation from Wright-Patterson Air Force Base, the American Legion Dignam-Whitmore Post 526, the Montgomery County Sheriff’s Office and more.